The core team at Deccan 360 has over 100 years of collective experience in the international and domestic express transportation and logistics industry. Every employee is trained and motivated to go the distance – and that little bit extra – ensuring seamless service delivery. 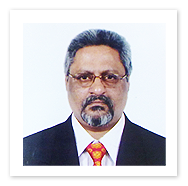 G.K. Anantha Raman has extremely strong credentials in finance and systems. In his last assignment for a leading player in the Indian oil and gas industry, he played a key role in taking the company to a $1.8 billion IPO in the Indian market. 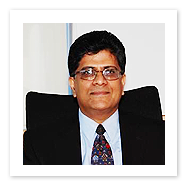 With an illustrious career spanning two decades, Ravi Acharya has vast experience in various industry verticals such as hospitality, service, retail and logistics. 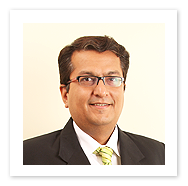 Ajay brings with him over 3 decades of rich experience in IT across industries such as Chemicals, FMCG, MNC, IT, Telecom, Airline, MRO and BPO/Call centre. 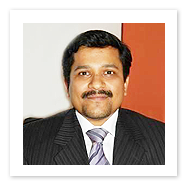 He started his career as a Chemical Analyst, and has been the CIO for Deccan Cargo since its inception. 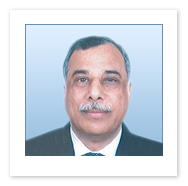 Krishnan, an industry veteran, brings with him over 3 decades of rich experience across industries including Automobile, Transportation and Express Cargo. A graduate from Hindu College, Delhi University, his interests include music, travelling, reading and cooking. “We had been very reluctant to try Deccan 360 initially. But once we did, we were thoroughly impressed. 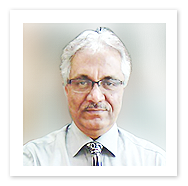 They diligently handled our critical, time-bound shipment and delivered it as per their commitment....”.